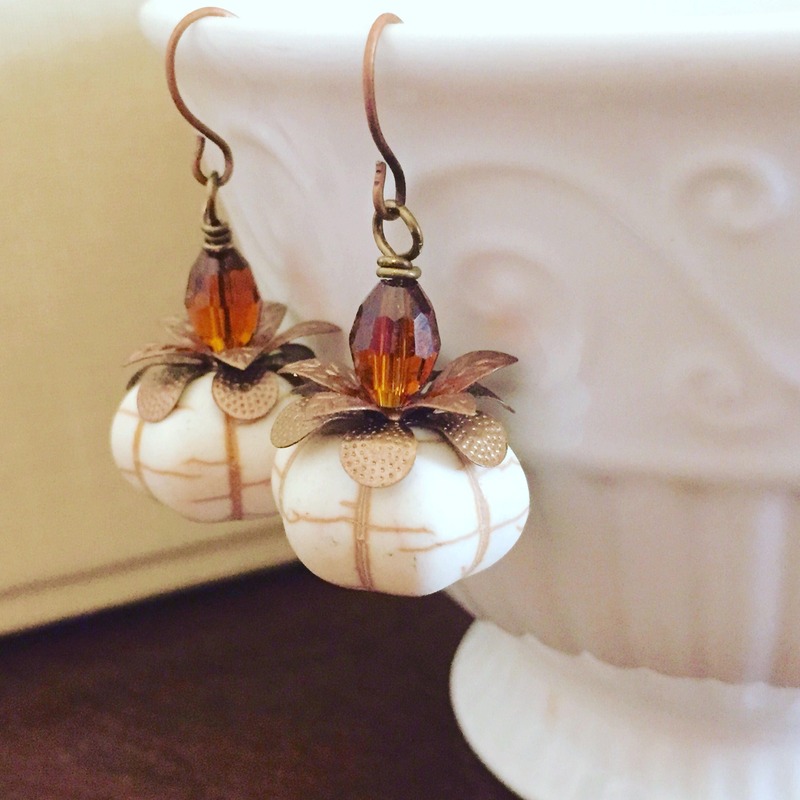 The best thing about fall and Thanksgiving is pumpkin everything & who wouldn't want to adorn their lobes with pumpkin earrings?! 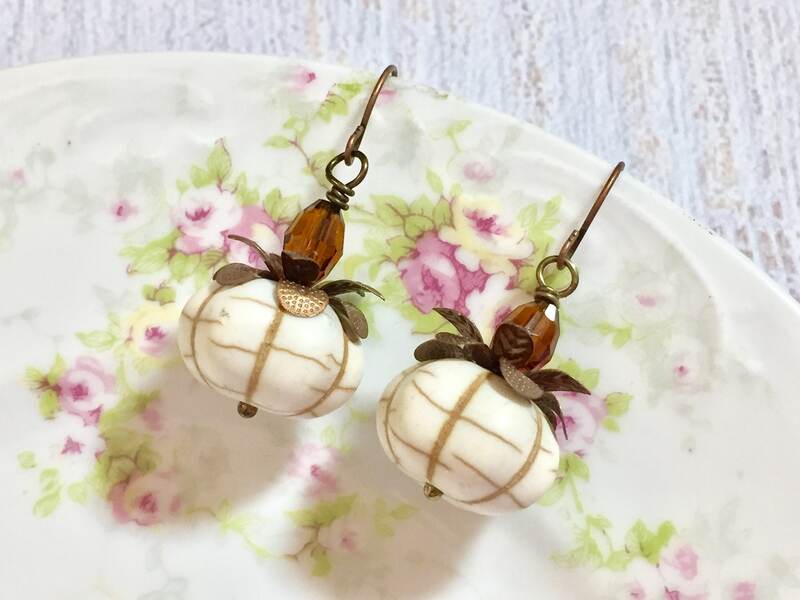 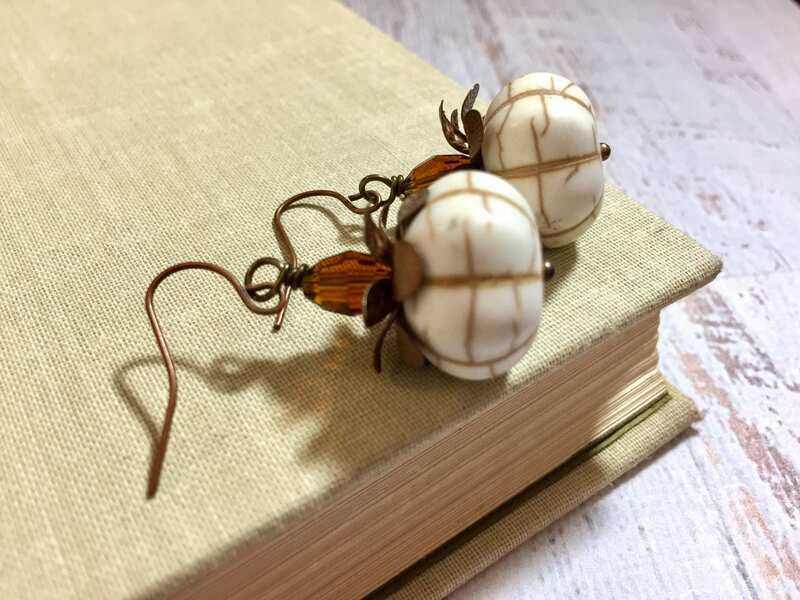 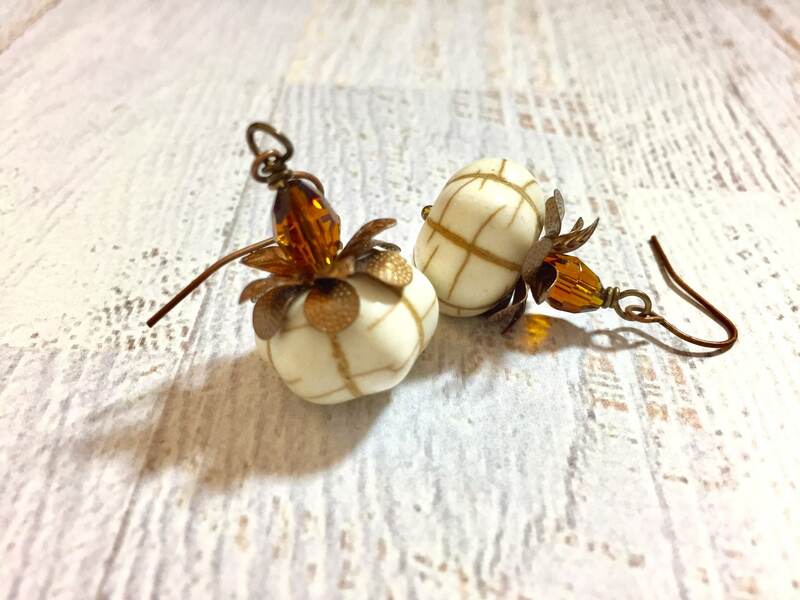 I made these with off white synthetic (fake) turquoise howlite pumpkin beads, antique copper tone leaf beads, sparking brown glass beads, antique copper toned findings, and antique copper toned surgical steel ear wires. 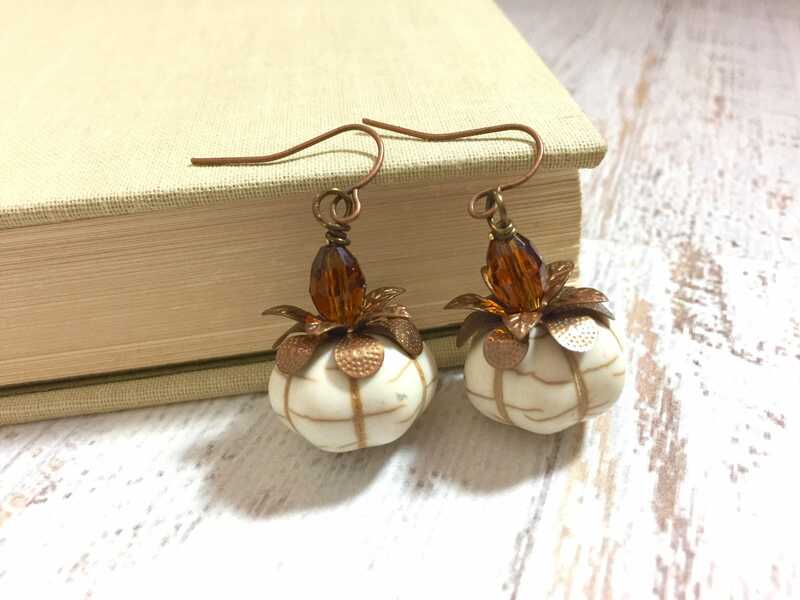 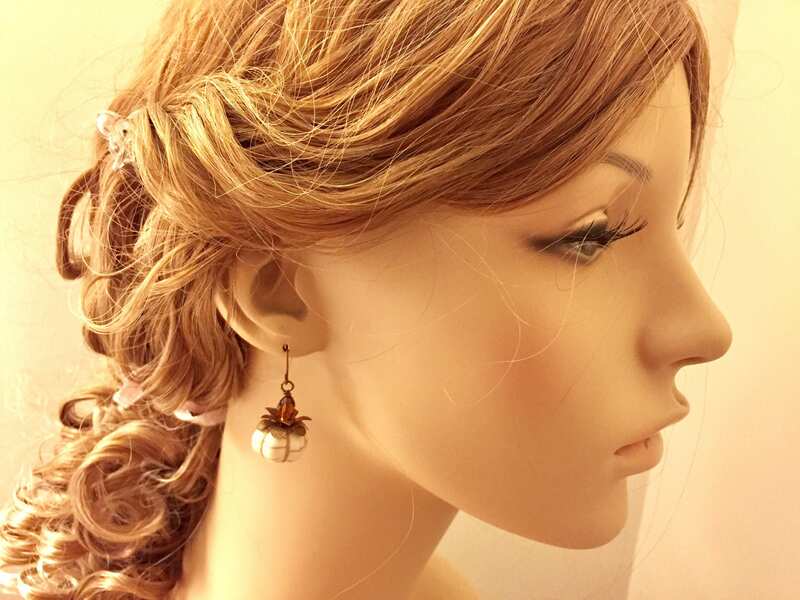 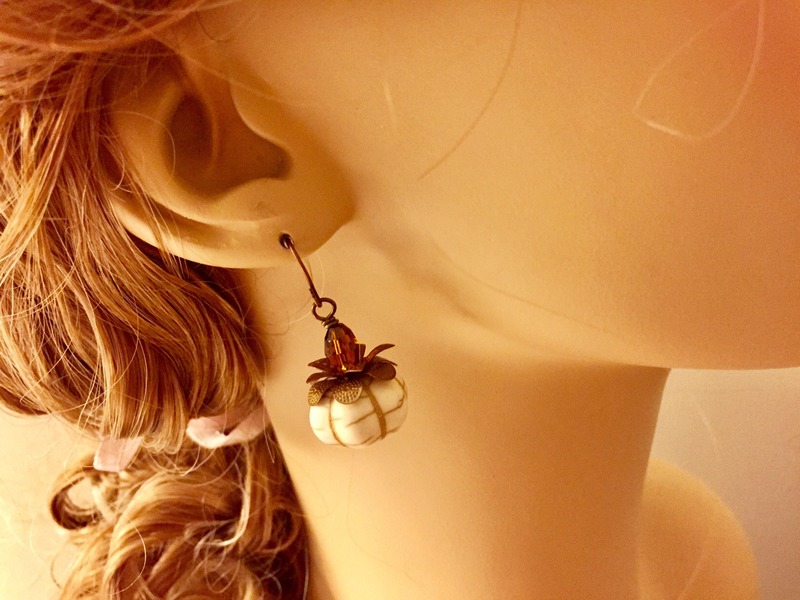 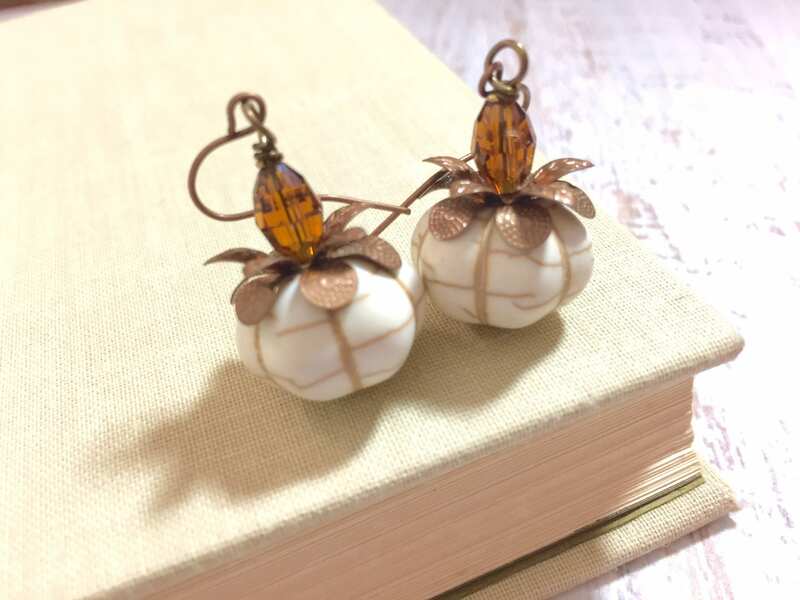 The earrings dangle about 1.5 inches (3.8cm) from the top of the ear wire to the bottom of the pumpkin.